Fish processing continues to be driven by technology. 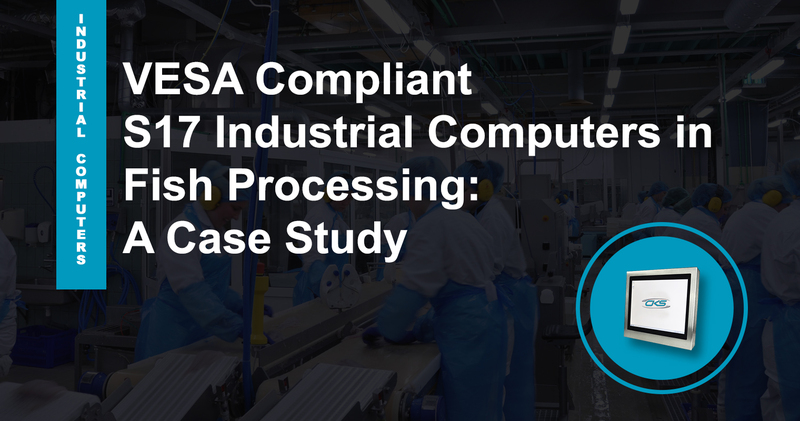 Utilising advanced PCs like the S17 industrial computers is an ideal computing solution for a seamless fish processing operations. Built with the highest protection available for a device, this S17 panel mount PC ensures fast production while maintaining high-quality products at the same time. Substantially, fish processing factories continue to be driven by technology. Amongst these factors are related to machines and methods used in fish industry. However, given the fact that these advancements offer speed and efficiency, there is also a little room for errors. That is why more and more fish plants integrate fish processing to an automated system. This is because it speeds up the processing operations in fish factories. Moreover, at the same time, it maintains the fish quality despite its challenging environment. What sort of device is embedded in its system to do automation works in fish plants? One of the most recommended PCs by experts is the S17 rugged industrial computer. Its features have helped improve a fish processing operation. Features like IP69K rating and NEMA4 sealing ensure that internal parts of the system are well-protected. So, expect that this computing device can provide better functionality even in fish plants with the harsh environment. Have you ever wondered how fresh fish fillets are cleanly cut and ended up in vacuum-sealed packages? For an industry where freshness and quality are vital, installing a reliable computing device is must-have technology. This is the reason why our 17” industrial panel PCs are designed to suffice the needs of fish processing operations. It is built with industrial-grade components ensuring that it can withstand different challenges in fish processes. This includes its hygienic type of environment, complex applications and frequent usage of operators. As a result, it provides seamless processing solutions to integrated machinery in fish factories. Take a look at how it works in North Sea Fish. North Sea Fish is one of the UK’s leading fish processors in multiple varieties. They are producers of fixed-weight trays of fresh fish fillets. Its fish operations include weighing, traying, cutting, sealing, labelling, quality management and dispatching. So, how do they streamlined its fish production? This renowned fish processor needs to balance two different factors during the operations. This is to sustain the required processing speed and maintaining the quality of fragile products. It must have an accurate weight, meticulously sealed, intact while meeting the scheduled production. As a producer who wants to maintain its reputable company, they work closely with a trusted IC manufacturer. They opt for advanced computing technologies, such as 17” panel PCs, which have the required specifications for a seamless operation. This device can have an Intel® Core™ i7-3610QM 2.30GHz Quad Core motherboard processor. This is to make sure that it can perform multiple applications with extensive operations. Its 17-inch XGA 4:3 capacitive touchscreen display also has 1280×1024 screen resolutions. This means that it can provide better touch functionalities and image screen resolutions to operators. Despite its sophisticated applications and existing work environment, fish production is reached at high speed. Every product also has high-quality sealing with the accurate weight. This VESA compliant device also saves space as it features multiple mounting options. Most of the compelling cases about adopting technology to the operations can offer efficiency and successful production. By having our S17 industrial PC installed on fish processing factories ensures that it can fast track fish processing operations. Get a FREE industrial PC advisory solutions from us today. We are ready to assist, contact us through (+44) 01438 747111.